New PID for Iran International HD: PID:48[MPEG-4] /220 Farsi SID:2 (11785.00MHz, pol.V SR:27500 FEC:3/4 - Clear). A new channel has started in DVB-S Clear: Iran International HD (undefined) on 11785.00MHz, pol.V SR:27500 FEC:3/4 SID:2 PID:210[MPEG-4] /220 Farsi. New PID for Iran International HD: PID:210[MPEG-4] /220 Farsi SID:2 (11785.00MHz, pol.V SR:27500 FEC:3/4 - Clear). 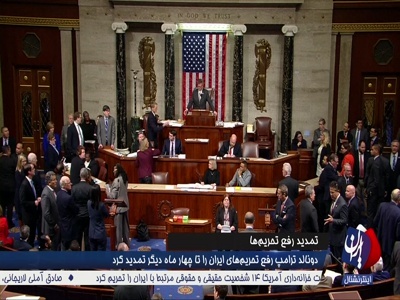 Sky Digital: A new channel has started in DVB-S2 Clear: Iran International HD (undefined) on 11611.75MHz, pol.H SR:23000 FEC:2/3 SID:55400 PID:2308[MPEG-4] /2309 Farsi. A new channel has started in DVB-S Clear: Iran International HD (undefined) on 11785.00MHz, pol.V SR:27500 FEC:3/4 SID:2 PID:48[MPEG-4] /220 Farsi. Iran International HD is back on 11304.00MHz, pol.H SR:29700 FEC:2/3 SID:513 after a break ( PID:5131[MPEG-4]/5132 English - Clear). A new channel has started in DVB-S Clear: Iran International HD (undefined) on 11373.00MHz, pol.H SR:27500 FEC:5/6 SID:501 PID:5011[MPEG-4] /5012 Farsi.